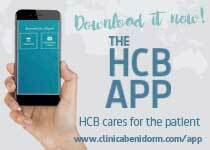 The Spinal Unit team at Hospital Clínica Benidorm demands the highest qualification standards. All our professionals can accredit national and international training in different fields of spinal pathology. Each year, the most relevant scientific meetings are attended in order to offer our patients the avant-garde treatments. We will not offer patients any treatment which, in principle will bring them no benefit. Our therapeutic recommendations are always guided by honesty and ethics. Humane treatment. We attend to people and do not limit ourselves to the “patient” concept. 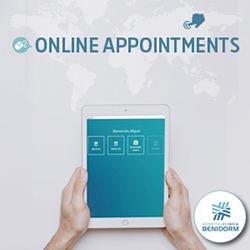 All our patients are evaluated by various specialists depending on their needs and thus we achieve a global view, which allows us to offer individualized treatment plans. This is our obsession. 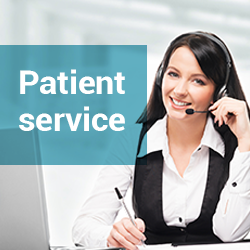 Quality in all the processes involved in attending to our patients. We place at our patient’s disposal the most advanced technical media for diagnosis and treatment. We are a reference centre for implanting new technologies in Spain for General Electrics, Zimmer, STORZ and Braun Aesculap. An individualized treatment plan is offered to each patient, which can involve various types of treatment. 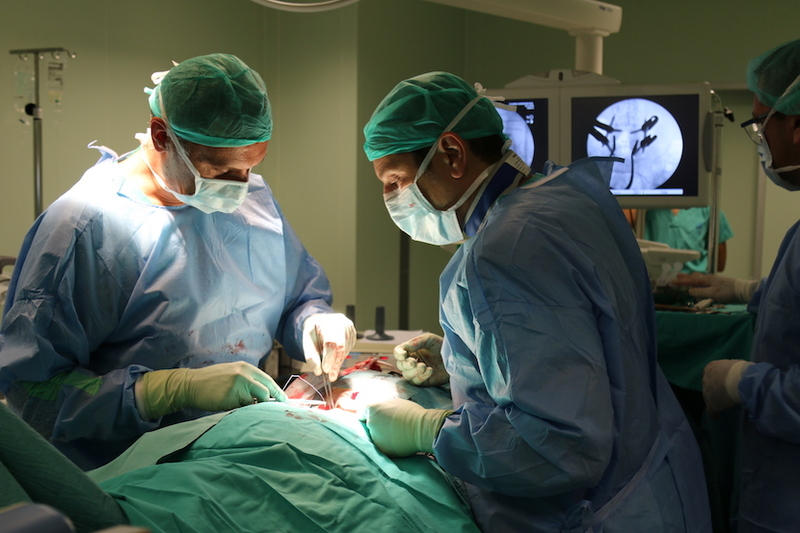 Herniated fragment of disc compressing the nerve root is eliminated using endoscope vision. Micro decompression with or without stabilization. Anterior and dorsal stabilization of the spine. Arthroplasty: artificial cervical or lumbar disc. Kyphoplasty and Vertebroplasty for the treatment of vertebral fractures (osteoporosis) achieving stabilization and immediate pain reduction. Radiofrequency: Non-invasive technique without hospitalization for the control of lumbar pain and sciatica. The spinal column stretches from the cranium to the pelvis. It is made up of 22 vertebrae. Its most important functions are to protect the spinal cord and the nerves, permit movement, maintain the head in position and allows for equilibrium and distribution of weight. It is also acts as anchor for the ligaments, tendons and muscles. 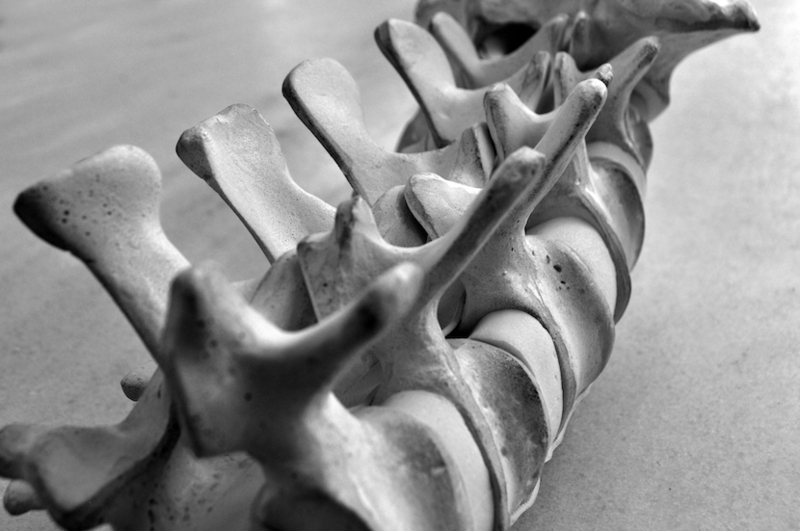 The vertebrae lay one on top of the other, separated by the discs which act to absorb the shock of impacts. The spinal cord and the nerves transmit messages from the brain towards other areas of the body, such as the muscles of the legs. The discs, the vertebrae, nerve, ligaments, muscles and joints in a healthy spine should all work together to allow mobility and maintain stability. Spinal columns may have their origins in the muscular tissue, the ligaments, the joints, the discs, the vertebrae or nerves, or a combination of them. The most frequent consultation in a Spinal Unit is the pathology caused by the progressive degeneration of the elements making up the spinal column. Arthrosis of the spine, herniated discs and hypertrophy of ligaments are the largest group. The intervertebral discs are the elements situated between the vertebrae, the aim of which is to absorb shocks and facilitate movement. Due to various factors (mechanical overload, aging, etc.) they can break and parts of the disc can move and compress a nerve root where it leaves the spinal cord. Although they can occur at any level, the more frequent occur in the lumbar and cervical section. Compression on the nerve causes pain, loss of sensation and/or strength in one of the extremities. The spinal canal is the space which contains the spinal cord. It borders at the front with the back of the vertebral body and the intervertebral disc and at the back with the laminae with their intervertebral joints (facet joints) and the ligaments. The spinal cord becomes thinner as is descends the spinal canal until it reaches the medullary cone (L1-L2), from which the lumbar and sacral nerve roots depart, forming the ‘cauda equina’. When the diameter of the spinal column diminishes, the spinal cord and/or the roots can become compressed causing pain and difficulty in walking. As a result of degeneration, the orientation of the joints between the vertebrae can alter, causing one vertebra to move over another (spondylolisthesis) causing pain. The vertebrae can shift laterally (right or left) due to degeneration of the facet joints, possibly causing pain. Various tumours can affect the spine and may have their origin in the spine itself (primary tumours) or they may be a manifestation of a tumour somewhere (metastasis). Tumours may be located in the vertebrae, compressing the nerve structures or they may directly affect the nerve tissue. High energy injuries (or low energy if they affect fragile bone tissue, such as osteoporotic bone) cause total or partial damage to one or several of the elements making up the spinal column. 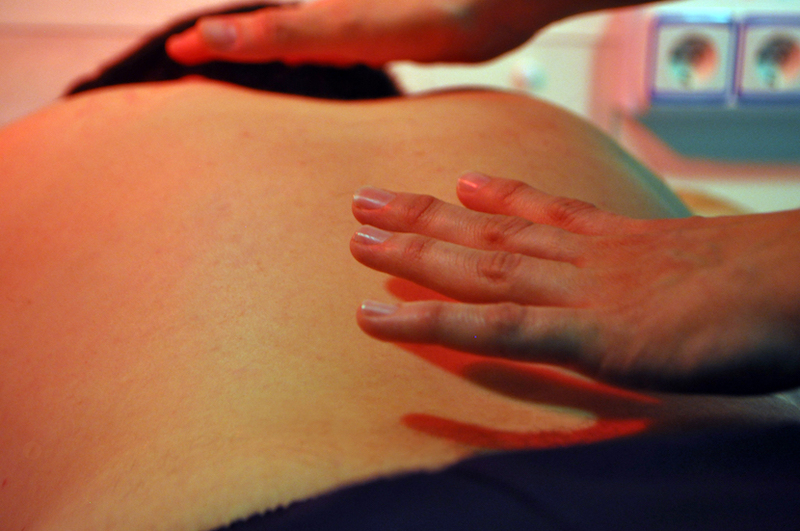 Various pathologies involving inflammation can affect some part of the spine. Infection (viral, bacterial or fungal) of the vertebral bone or the intervertebral disc (discitis) are a frequent cause of pain and vertebral fractures. Various defects present at birth can cause spine problems, especially childhood scoliosis (anomalous deviations of the spine), the so-called spondylolisthesis vera, anchored medulla, mielomeningocele and Chiari malformation.